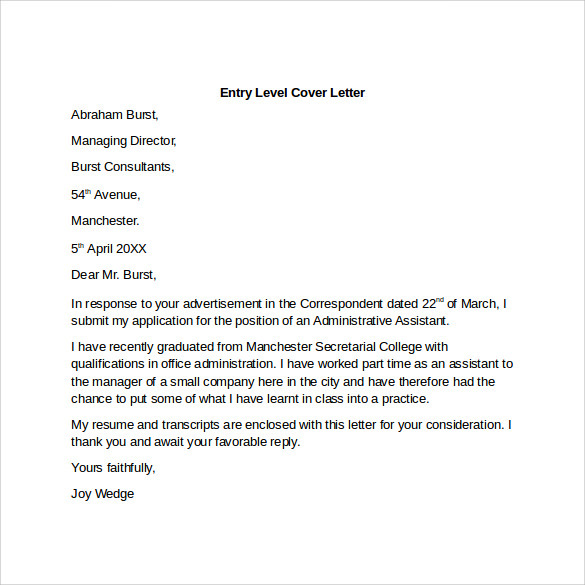 During the initial stages of the career, it is normal to react to offers in an amateurish manner. 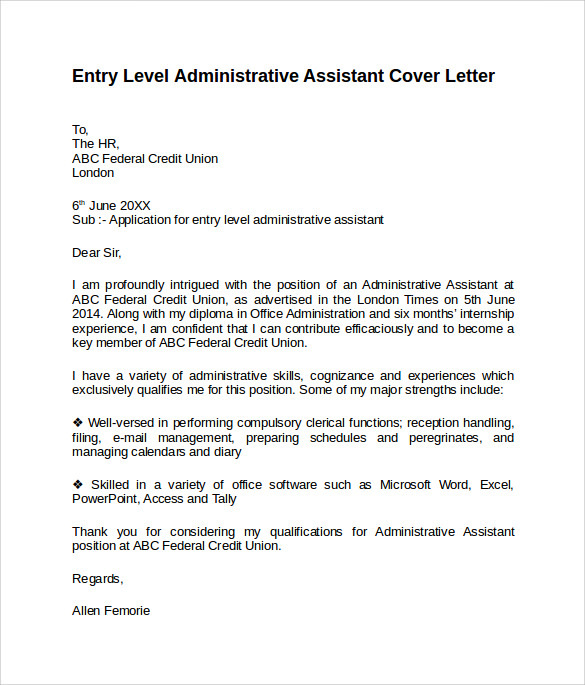 The problem associated with such response is that the hiring managers would reject the application by assuming that the candidate is novice and lacks minimum knowledge on how to get into a reputed firm. 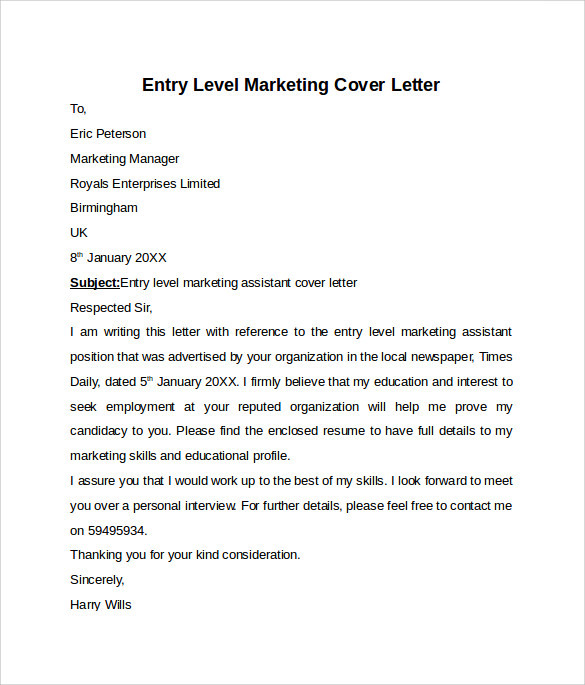 However, you can overcome this hurdle by selecting an entry level cover letter template from our wide range of templates, that are effective and makes the resume or application a stand out amongst the other. 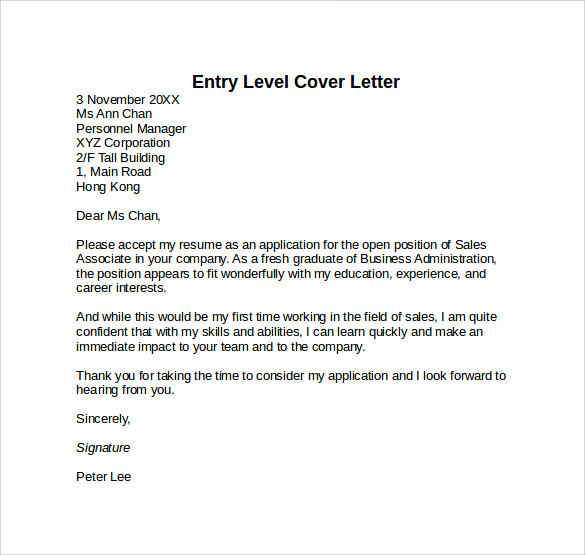 A good cover letter along with your Sample CV Templates or resume can distinguish your application from others and your application will be deemed as one with knowledge and understanding. 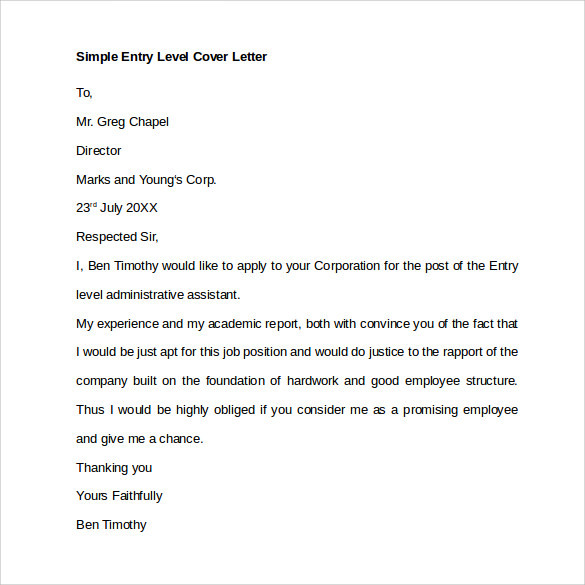 You should remember that there are many types of entry level jobs and selecting the right cover letter that goes along with your resume or CV would only ensure a proper impression is created. 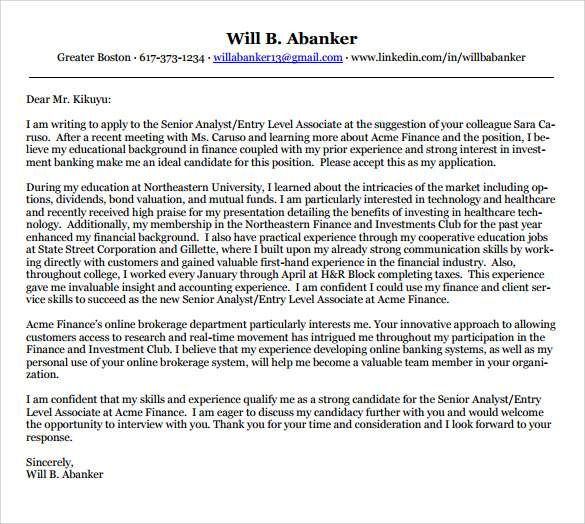 Carefully search for the right template and note down all the relevant skills you were able to acquire during study. 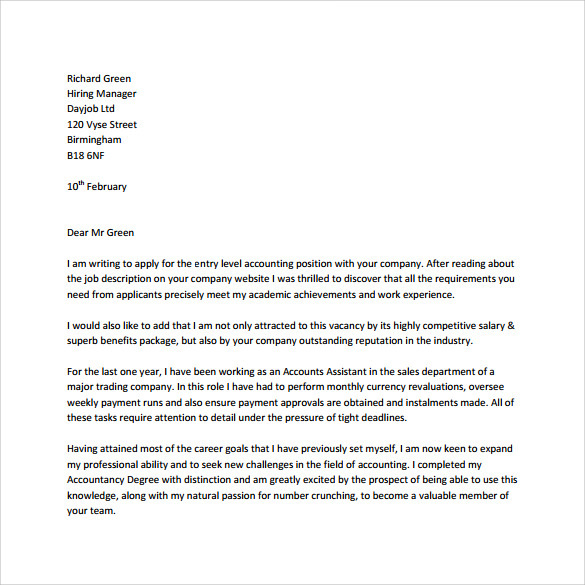 In addition, mention the reason for the hirer to select you as the right candidate for the job. All these will definitely make your application a considerable one. 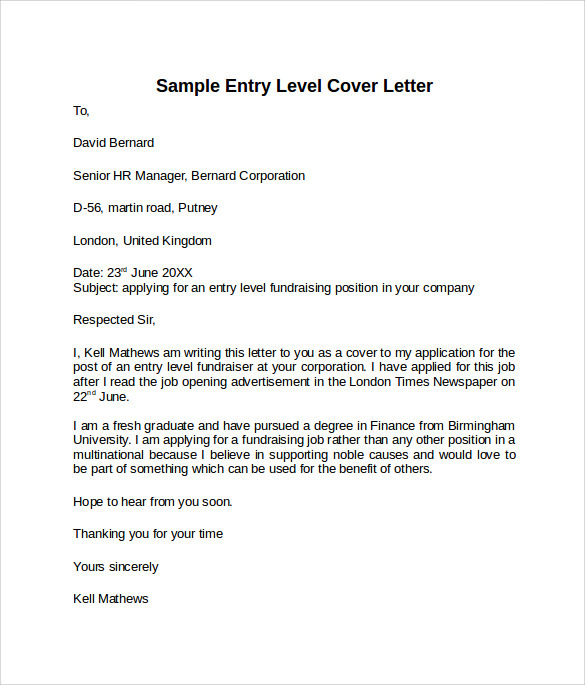 Any entry level cover letter template provided here gives great scope to you to write a great cover letter that is perfectly suitable to your merits. Furthermore, there are many formats of templates available with us such as MS Word, PSD and PDF. All the formats are easily downloadable and can be edited with the same ease.